Blog Articles: What Is Special Event Insurance? Many businesses sponsor events like conferences, receptions, exhibitions, and festivals. Such events can generate claims against the event sponsors. To protect themselves, businesses can purchase a type of liability coverage called special event insurance. This coverage applies to claims by third-parties for bodily injury or property damage sustained during an event sponsored by the business. Special event insurance is inexpensive and widely available. It must be purchased before an event takes place. An accident can occur at almost any type of special event. A guest might slip and fall, and sustain an injury. A fight could break out between two or more attendees, resulting in injuries to those fighting or to innocent bystanders. A stage could collapse, causing injuries to performers or guests. A guest might become intoxicated and cause an auto accident while driving home. An employee of yours could accidentally damage property belonging to the venue owner. Any of these incidents could result in a claim against your company. Special event insurance is a must if your business plans to sponsor an event and has not already purchased a general liability policy. Many venue owners will not rent their facility to you unless you provide proof of liability insurance. Moreover, claims or suits by injured attendees can be costly, particularly for a small business. If your firm has no liability insurance, it will have to pay these claims out of pocket. Do you need to buy a special event policy if your firm is already insured under a general liability policy? The answer depends on the nature of your event, the scope of your existing coverage, and degree of protection you want for your business. For example, suppose you are planning an off-site retirement party for 200 guests. You plan to provide a cash bar, which will be manned by two of your employees, and charge guests five dollars per drink. Because you intend to sell liquor for a charge, you will need liquor liability insurance. Your existing liability policy does not include this coverage, and your insurer will not provide it for one event. You can safeguard your business by purchasing a special event policy that includes liquor liability coverage. A unique coverage that may be purchased under event policies is cancellation insurance. This coverage is not available under standard liability policies. It provides reimbursement for revenue you lose or expenses you incur (such as lost deposits) due to the cancellation or postponement of your event. To be covered, the cancellation or postponement must result from a cause covered by the policy. 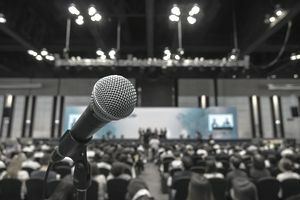 Depending on the policy, covered causes may include severe weather (like a hurricane), an earthquake, terrorism, non-appearance of a key performer, or a fire at the venue. Some insurers sell event cancellation insurance as a separate coverage. Another reason to buy a special event policy is to protect the limits afforded by your existing liability policy. Claims that arise from the insured event should be covered by your special events policy on a primary basis. If the claim is also covered by your existing liability policy, that policy should apply on an excess basis. Insurers that sell special events policies to small businesses may offer a per occurrence limit up to $5 million. Many special event policies are issued on standard ISO liability forms. The policy typically includes an endorsement that restricts coverage to the event and date described in the endorsement. Policies generally exclude activities like those listed below. Sporting events may be subject to additional exclusions or limitations. The venue owner will likely require you to provide a certificate of liability insurance. The rental contract may require you to include the venue owner as an additional insured under your liability policy. The contract may also require a waiver of subrogation.